How NBC and Samsung's virtual reality partnership plays out during the Olympics could easily end up being one the most interesting things—to tech observers, at least—to emerge during the Summer Games over the next two weeks. The VR initiative went live on Saturday when the athletic competitions started in earnest in Rio de Janeiro, Brazil. 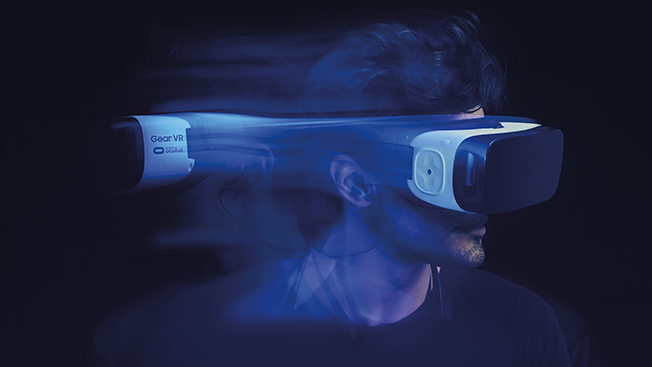 The Olympics Broadcasting Services will capture 85 hours of VR programming for Samsung Gear VR users, which appears to be a growing audience as more than 1 million people tried the headset in April. The VR footage will include action from men's basketball, gymnastics, track and field, beach volleyball, diving, boxing and fencing as NBC will offer highlight packages for those sports. The content will be supplied to NBC, which will help distribute it through the NBC Sports app. To protect NBC's TV interests, the virtual reality programming will be presented on delay, so, for instance, Samsung VR owners did not see Friday night's opening ceremony until Saturday. But the immersive, 360-degree experience should give sports fans a whole new perspective. "Olympic fans can be transported to iconic venues such as Maracana Stadium for an unprecedented view of the opening ceremony, and Copacabana Beach for an immersive beach volleyball experience in the sport's ultimate setting,'" said Gary Zenkel, president, NBC Olympics, in a statement a few weeks ago when the Samsung partnership was first disclosed. At any rate, how popular VR proves to be during the Olympics should give marketers a healthy perspective on how far along consumer adoption has come for such experiences.